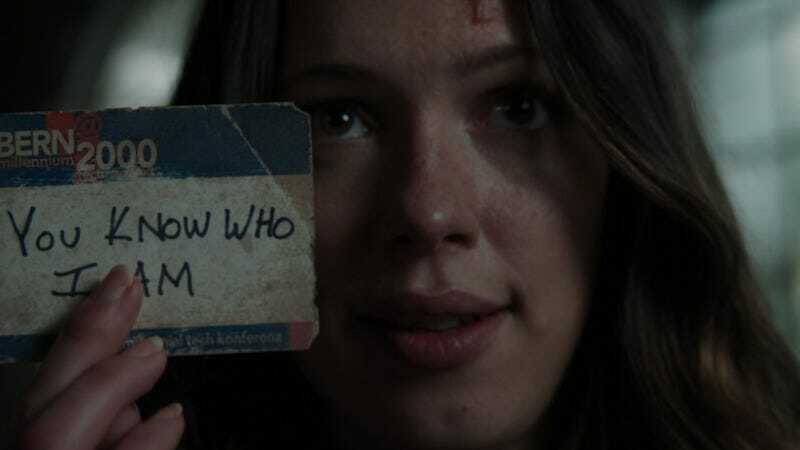 Rebecca Hall says that Maya Hansen, her character in Iron Man 3, didn’t exactly end up like she thought it would. Now Hall has explained more about how, instead of the “substantial” role she signed up for, she ended up being a minor character who got unceremoniously shot by the film’s villain, Aldrich Killian. I signed on to do something that was a substantial role. She wasn’t entirely the villain – there have been several phases of this – but I signed on to do something very different to what I ended up doing. Halfway through shooting they were basically like, ‘What would you think if you just got shot out of nowhere?’ I was meant to be in the movie until the end... I grappled with them for awhile and then I said, ‘Well, you have to give me a decent death scene and you have to give me one more scene with Iron Man,’ which Robert Downey Jr. supported me on. It seems like, by the time she took the part, Black had already at least shared the villain role across a few characters. It’s the part where her character was killed off halfway through shooting that really diminished the part of Dr. Hansen. Kudos to Hall for at least negotiating for a slightly better end. It’s interesting that the closest the Marvel Cinematic Universe has come to a female villain is Guardians of the Galaxy’s Nebula, and even she wasn’t really the bad guy of that film. She wasn’t even in the top two—that would be Thanos and Ronan. Here’s hoping Cate Blanchett’s turn as Hela in Thor: Ragnarok reverses that trend.